Amanda Read – Why December 25th for Christmas? December 25, 2015 – Traditionally, December 25th has been celebrated as the birthday of Jesus Christ. But a variety of historic factors and scholarly discoveries indicate that He was not actually born on that date. Since this isn’t really news, just how did most of the Christian world settle on this date for the big celebration? Amanda Read digs deep into the reason for the season in a special episode brought to you by Luke Historians. 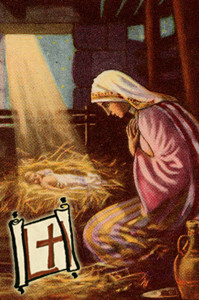 You can read more about how Christianity came to peg the birth of the Messiah on this date at LukeHistorians.com: What does Christ have to do with Christmas Day? Thank you for listening, and Merry Christmas!